(Reuters) - The construction worker accused of shooting dead four people at a Waffle House restaurant in Nashville had the hard drive on his laptop wiped last month, a local television station reported, citing the computer repair shop's owner. A man who identified himself as Travis Reinking - jailed this week after a day-long manhunt - then called Nashville's Dang It Repair store back two weeks later for an angry, paranoia-tinged conversation with a confused customer-service representative, NBC-affilate WSMV reported. "If you'd like to bring the device by, we'd be happy to take a look at it for you," the representative can be heard saying. "Yeah, well, go kill yourself then, jump off a bridge or something," the man responds, according to the audio recording posted online by the Dang It Repair store. Reinking already had a history of bizarre encounters with law enforcement before he was found in a woods and arrested on Monday. Police say he used an AR-15 rifle to kill people at the Waffle House over the weekend. Colleagues at a construction crane company in Colorado where Reinking, 29, recently worked for about six months told police this week that he struck them as odd and delusional, convinced that country singer Taylor Swift was stalking him and would also be his bride. Waffle House shooting suspect Travis Reinking was taken into custody by Metro Nashville Police on Monday, April 23, 2018. Travis Reinking appears in a booking photo provided by the Metro Nashville Police Department in Nashville, Tennessee, U.S., April 23, 2018. Metro Nashville Police Department/Handout via REUTERS ATTENTION EDITORS - THIS IMAGE WAS PROVIDED BY A THIRD PARTY. His parents and grandmother called the police in 2016 at a drugstore near their home in Tazewell County, Illinois, because they were worried he was going to kill himself over his Swift obsession, county sheriff's records show. Staff at the repair shop told WSMV there was nothing particularly odd about Reinking's March visit to get his laptop wiped. The phone call the man who identified himself as Reinking made on April 11 took an unusual turn after he asked a customer representative about an issue with his laptop. "Sorry, are you wanting to make a backup disk?" the representative asked, according to the recording released by the store. "You know what I'm talking about," the man replied. "I can't say I do," the representative said. "No, that's what I'm saying, if I made a backup disk and kept that for later and had somebody analyze it, they're not going to find anything on it that you guys put there, are they?" he said. "Why are you guys doing this, man? I don't get it. What are you getting out of this?" "I'm not sure I understand the question," the representative said. "You're a liar," the man said before telling the representative to kill himself and hanging up. Robert Hartline, the computer store's manager, provided the link to the store's audio recording in an email, but did not immediately respond to further questions. 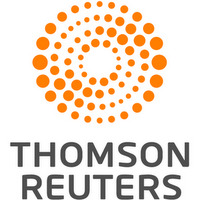 Reuters has not independently verified the recording's authenticity. A public defender representing Reinking has declined to comment on the case. A court hearing on Reinking is scheduled for May 7.